Here is what is happening on your property during the month of May. Lawns will be mowed at 1 1/2” in height and irrigated 4 times/week. 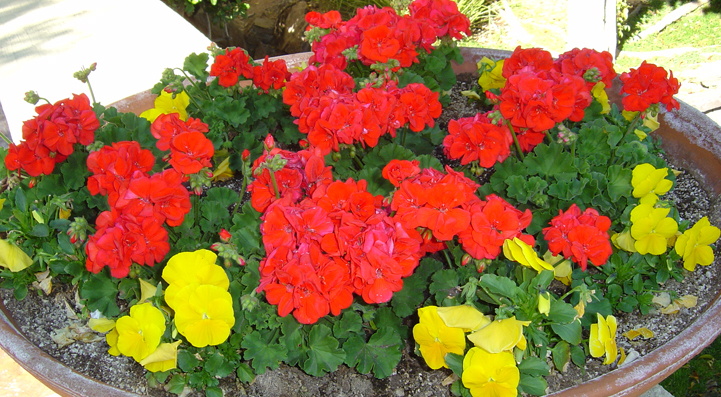 Cool season annual flower replacement continues with warm season annuals. 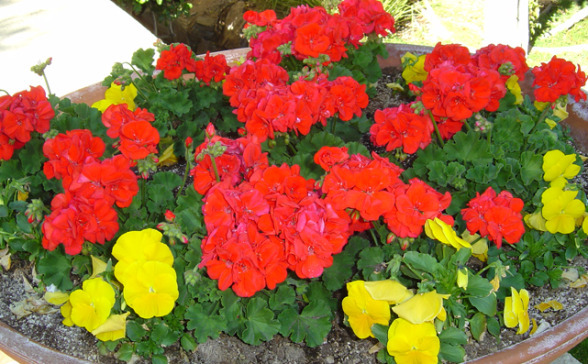 They will be watered 3 times/week and fertilized every two weeks. Selective & tip pruning will occur on woody shrubs & ground covers. Mowing, raking, edging and trash/leaf collection in landscape areas (weekly basis). All plant material will continue to be monitored for disease or pest infestation. Application of post-emergent herbicide on all decomposed granite (dg) areas will be completed as needed. Tree irrigation emitter relocation for optimum tree watering. Pruning of deciduous & evergreen trees. Olive tree spraying to prohibit flower & fruit production. Irrigation water auditing & turf reduction landscape plans. or more articles by: AMELandscape	has written 94 articles, if you enjoyed this article. Want to receive all of our new blog posts? Subscribe by email below. A feed could not be found at http://www.facebook.com/feeds/page.php?id=444841975316&format=rss20. A feed with an invalid mime type may fall victim to this error, or SimplePie was unable to auto-discover it.. Use force_feed() if you are certain this URL is a real feed. 5555 E. Van Buren, Ste. 210, Phoenix, Arizona 85008 P: 480.558.3160 Website created by Small Giants LLC Copyright 2018 AME Landscape Companies.All rights reserved.